This entry was posted on Monday, December 19th, 2011 at 10:45 and is filed under Arab Spring, Global Revolution, Media, News, Politics. 5 Responses to As Islamists Take Control Of Egypt, Where Is Bill Kristol? 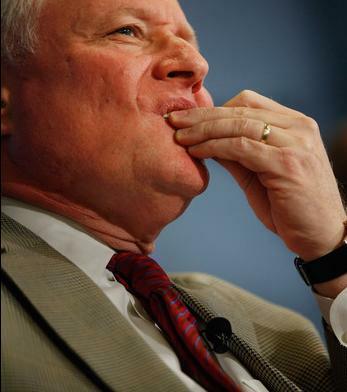 Fortunately, Kristol and his like are a dying breed. At the risk of intruding, here is a link to an interview with two fellows that wrote a book in hopes of hastening neo-conservatism's demise. Thanks for the link, Michael. "The neocons still dominate the conservative think-tank world, and they are a major presence in the media. They play a major role in defining the ideas of the conservative intellectual movement and the policies of the Republican Party. On one level, they are far from irrelevant and must be taken seriously." I believe that when Fox News came on the scene it was in fact birthed by neoconservative elements in order to further their political propaganda and we continue to see this today. As I mentioned in a comment elsewhere, I tend to view Fox News as the neoconservative cabal's "Alamo". Oh, and shame on Fox News for even pretending to be "fair and balanced". Media elites are al the same. Even the so-called conservatives like Rove and Noonan (remember she supported Obama because of Palin). They all think they're much smarter than we are and therefore know better than us. Beck pointed this out about Kristol some time ago when he was warning us about the so-called Arab Spring and the connections to Obama. Anything connected to or supported by Obama cannot be good. Unike most of the MSM, Beck does extensive research, and because of that, has been right on almost everything he has predicted.